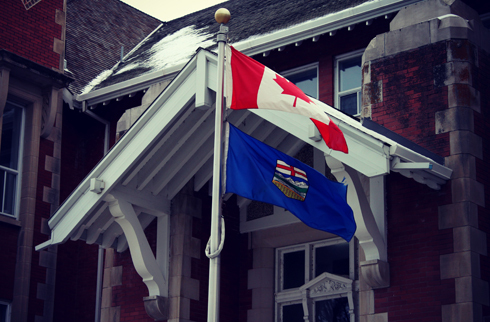 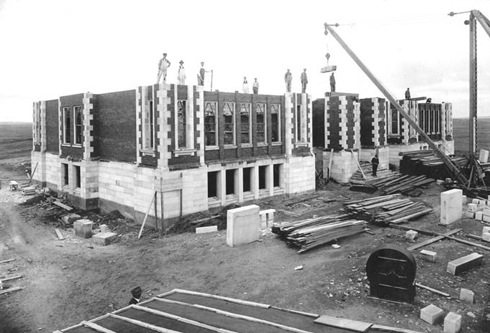 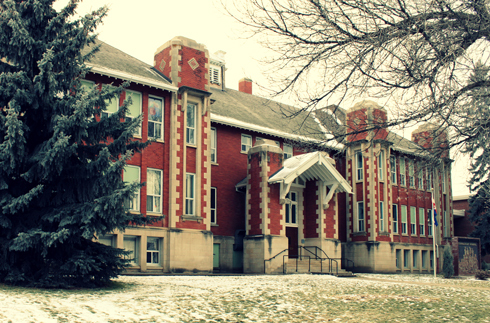 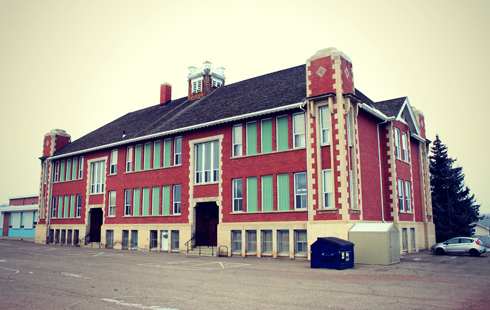 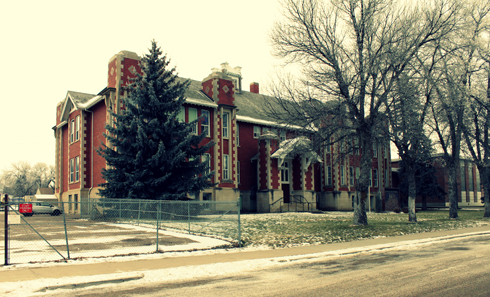 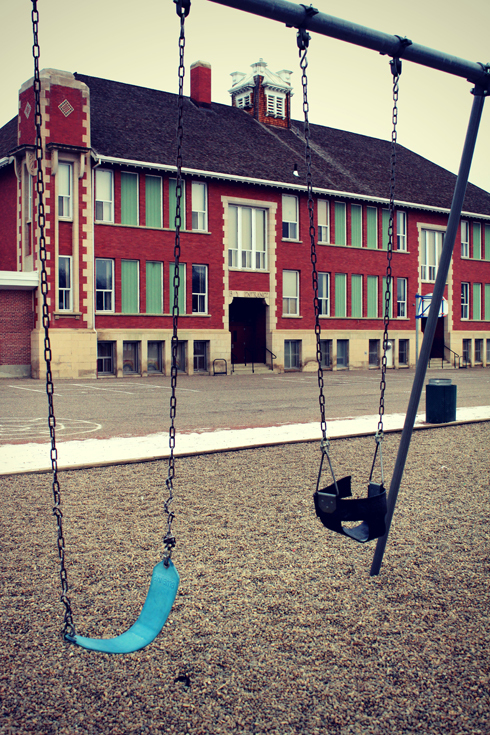 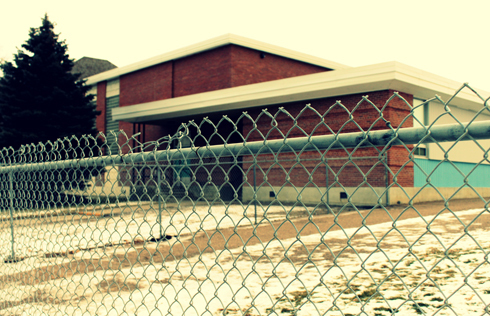 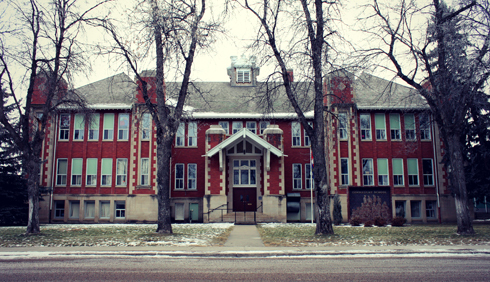 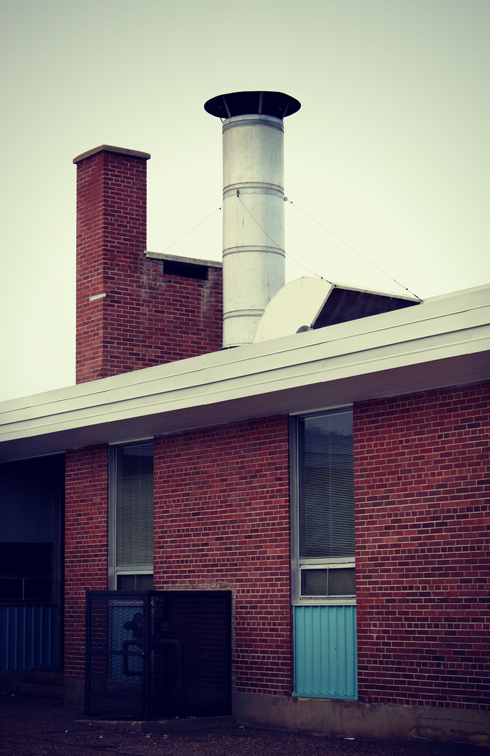 This past October, Medicine Hat's Connaught School celebrated its centennial (1912-2012). 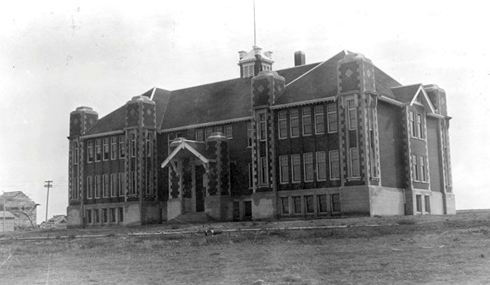 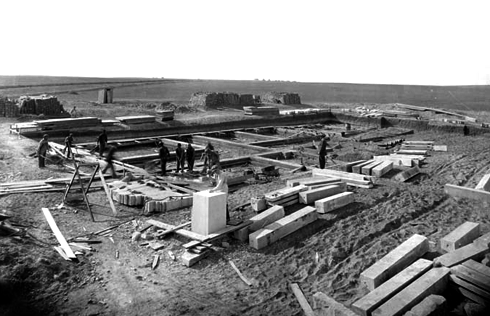 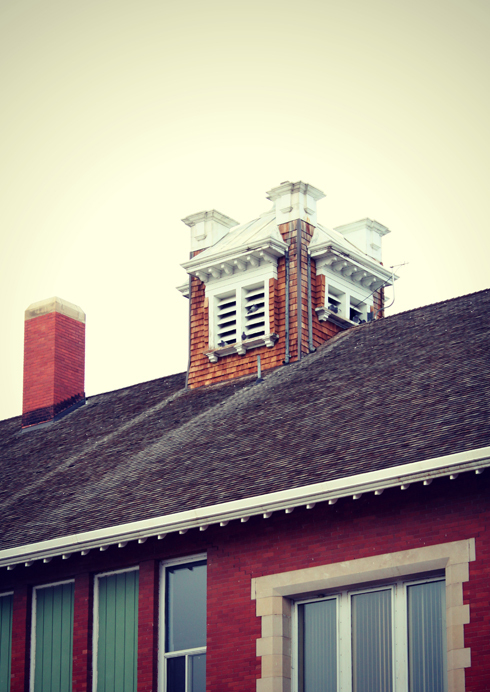 The school was built on what was the far edge of town at the time in anticipation of future growth. 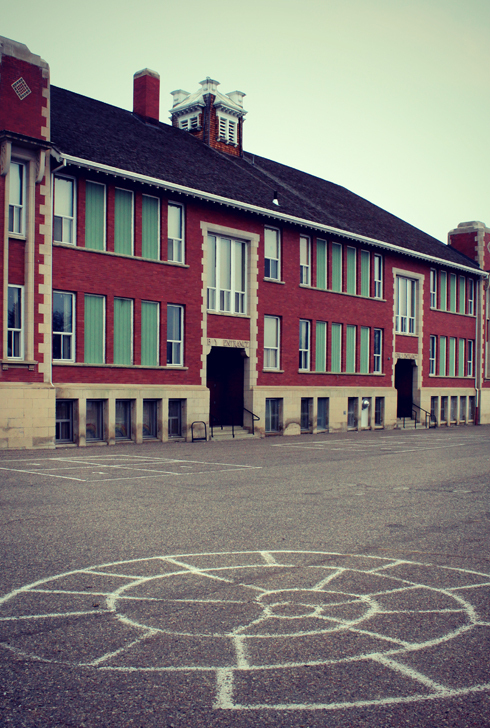 Today the school is surrounded by suburbia, so it only makes the archival images seem more dramatic when you see how sparse the location is in them. 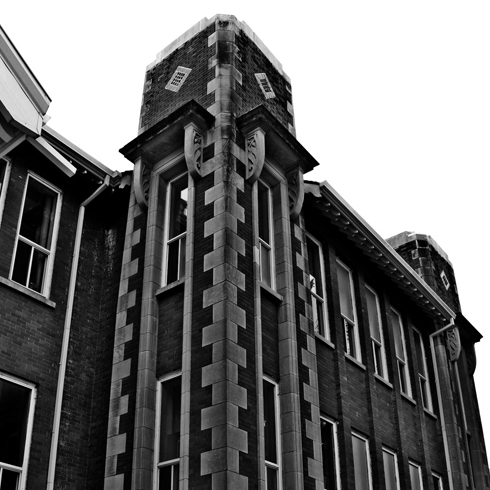 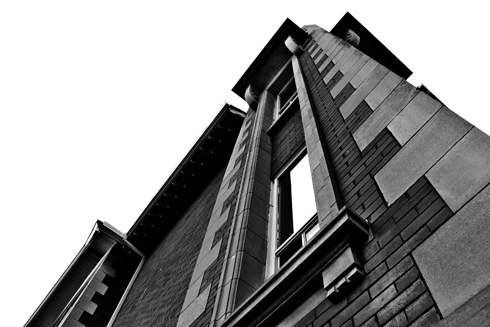 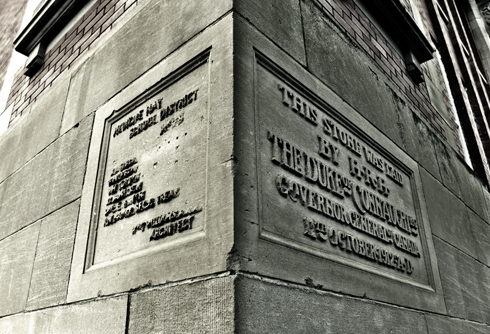 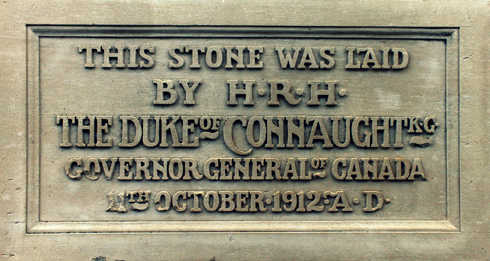 One of the interesting things about Connaught School is that the cornerstone was laid by the Duke of Connaught, who was the Governor General of Canada at the time, and the 7th child of Queen Victoria. 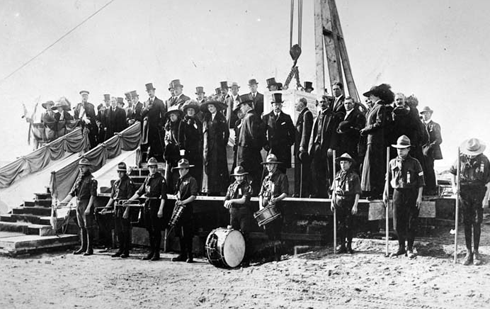 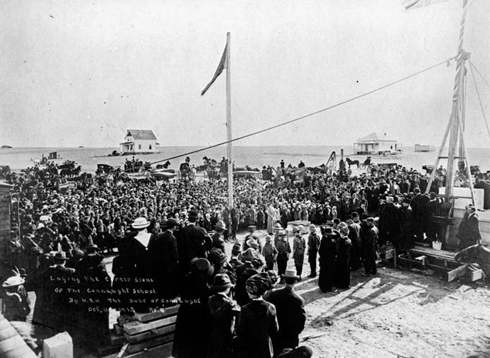 The archival images I found show what a big celebration the cornerstone ceremony really was. 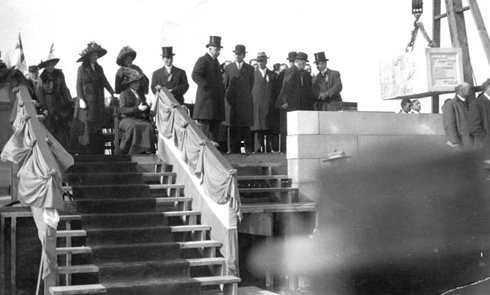 The image showing the cornerstone about to be put in place is quite surreal when you're able to see the stone today, put your hand on it, and recognize just how much has changed since then. 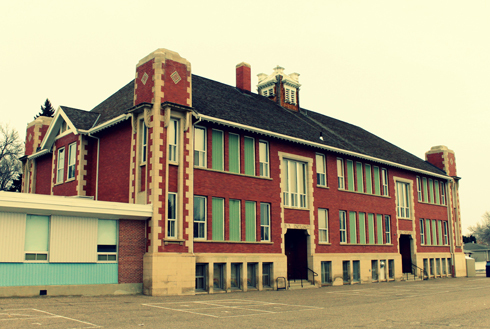 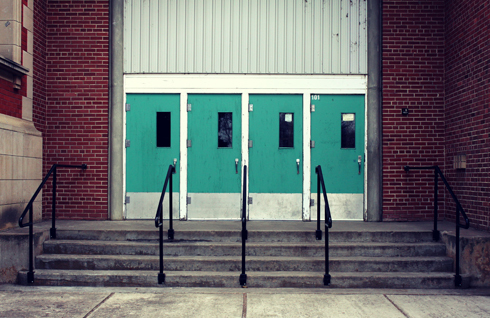 The school received an addition in the early 1950s that included more classrooms and a gymnasium. 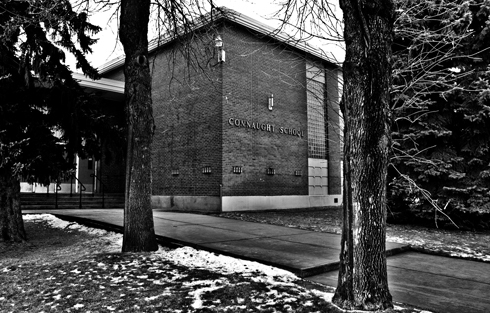 Today, Connaught School is a dual track school, where half of the elementary students study in English and the other half take their classes in French. 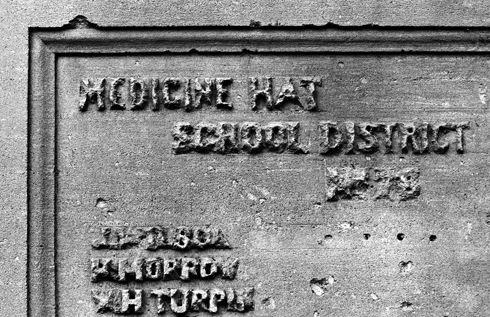 This is just one of many uses the school has seen over the last century. 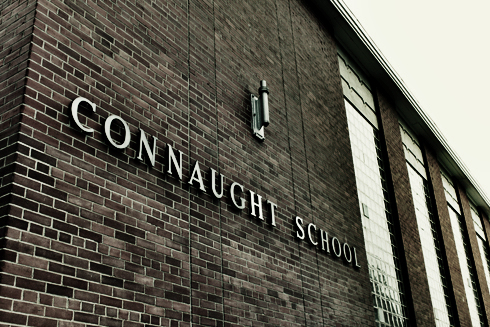 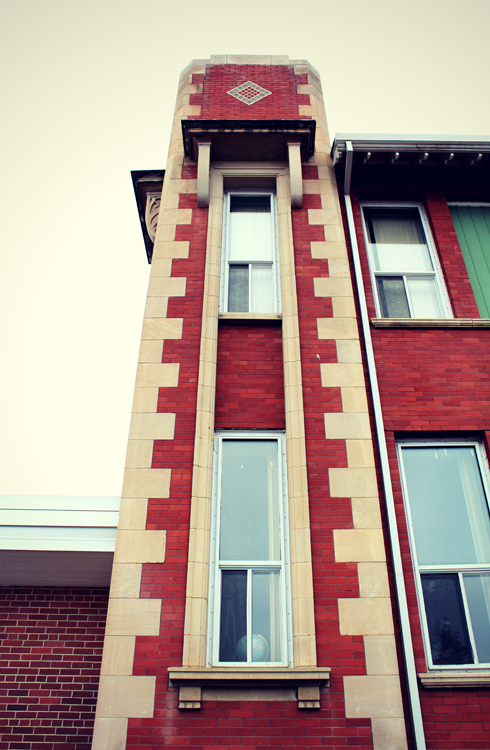 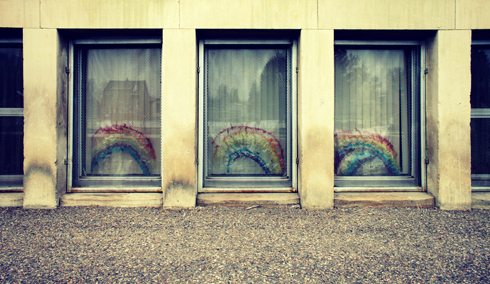 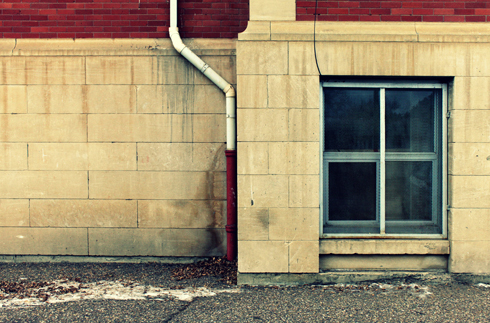 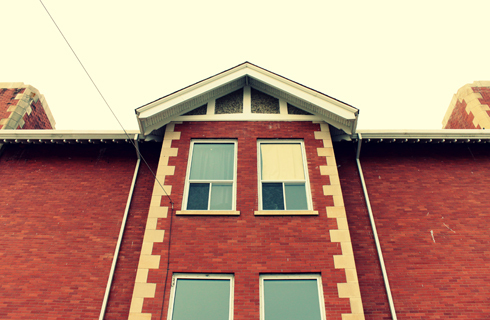 Connaught has been an elementary, junior high, combined elementary junior high, and French immersion school. 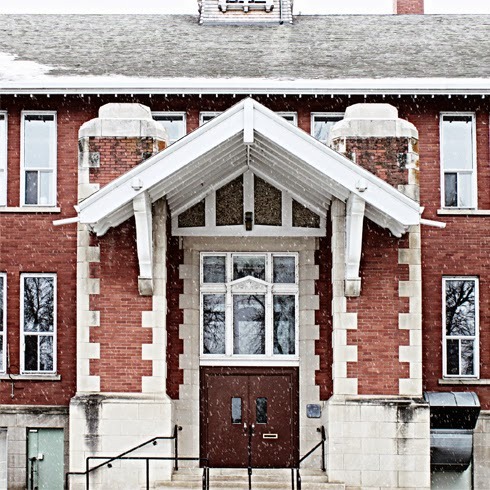 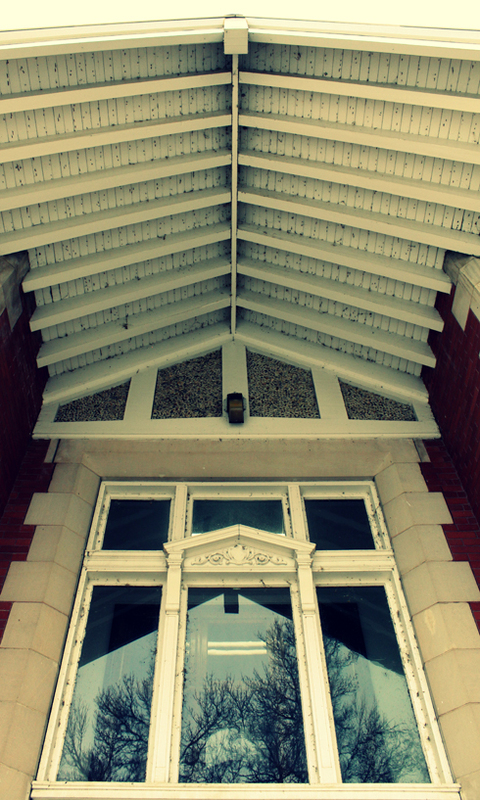 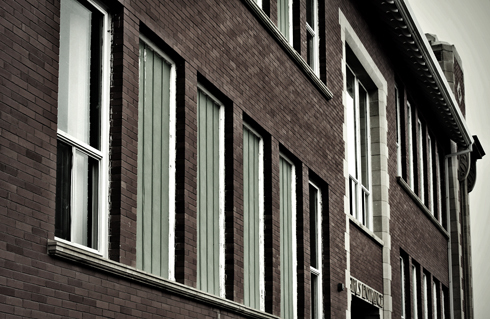 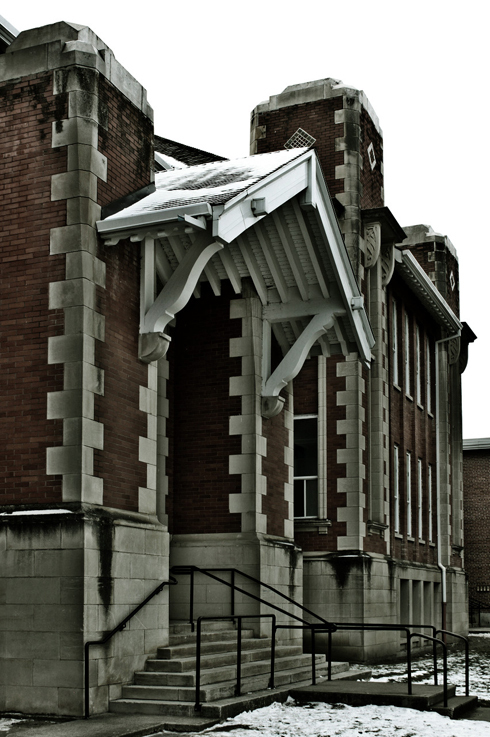 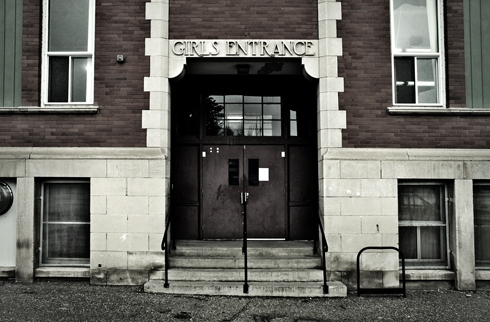 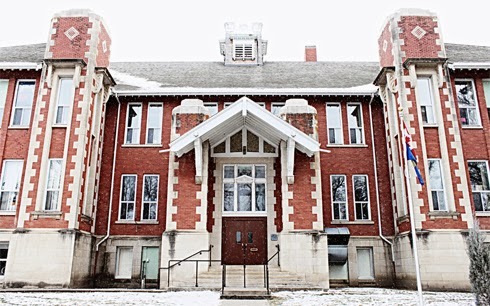 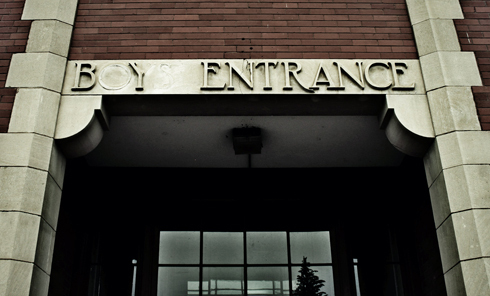 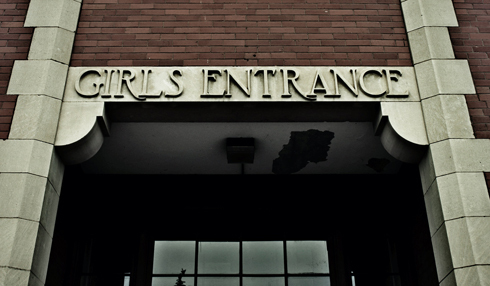 Much like Elm Street School, built just a year earlier in 1911, the separate boys and girls entrances are a clear feature of the building's age. 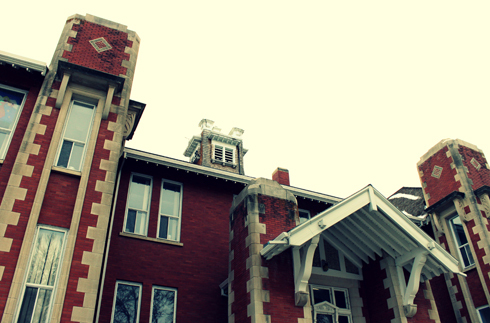 The stone and brick details in combination with the symmetrical towers and wooden roofed entryway, work beautifully to frame the structure. 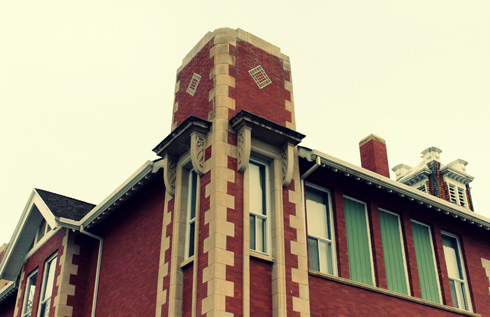 One hundred years later, it's still an eye-catching building.